Execution of thermal insulation with the application of PUR foam - "ELTUR-SERWIS" sp. z o.o. We offer the execution of thermal insulation by using PUR foam. 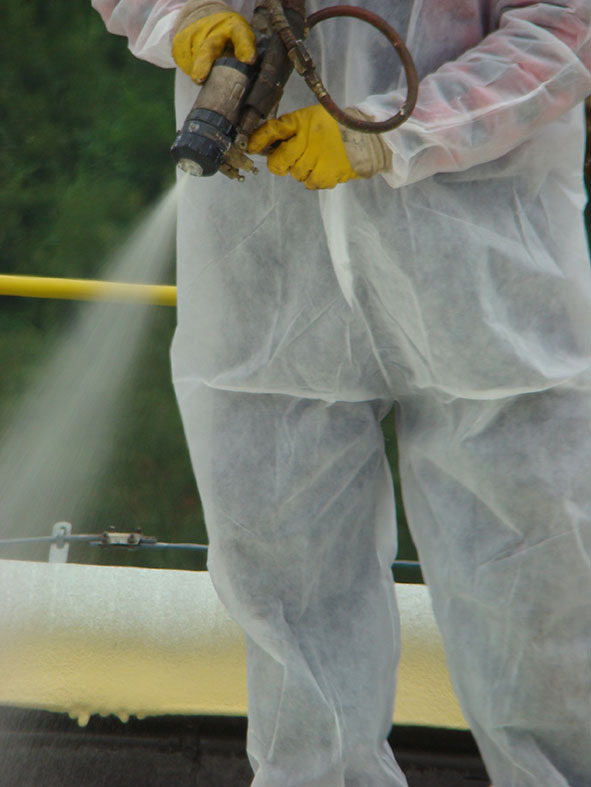 It is a two-component spray system applied directly on-site using specialist machinery. During application, the polyurethane (PUR) foam creates a homogeneous and hard insulation layer, without any joints or gaps, where the risk of thermal bridge formation is reduced to a minimum. The greatest advantage of PUR foam application is coating density. This is characterized by high thermal insulation performance. It retains its properties during the whole life cycle of the element on which the PUR foam is sprayed. Its disposal is not a problem either, because PUR foam has no negative environmental impact. 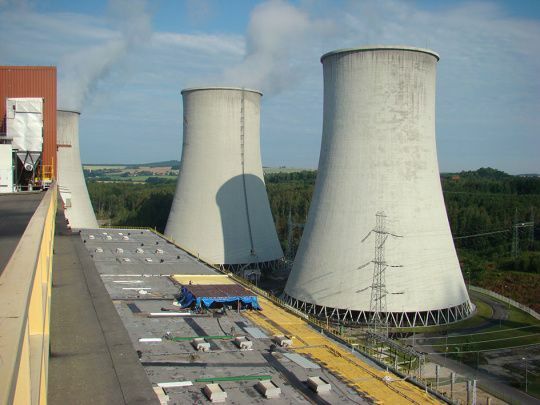 We have performed thermal insulation applying the PUR foam spraying technique, for instance during the incorporation of hydrogen and smoke removal systems in turbine hall buildings for PGE GiEK S.A. at the Turów Power Plant Branch for Units 1-6, and also on the roofs of boiler house for Units 1-6 during restoration works following a fire in 2012. The roof insulation projects involving the PUR foam spraying technique proved that the insulation making process is simplified, and thus generates substantial financial savings for the overall investment project, and also effectively reduces the execution time of the task.